LOGAN, UTAH, USA – Social bees are celebrated for their cooperative industry, but how did their innovative division of labor evolve? A starting point for examining this question may be study of their solitary cousins, say Utah State University biologists. Karen Kapheim and Makenna Johnson tested a variation of the reproductive ground plan hypothesis, a long-examined theory in studies of evolution of social bees, in solitary, ground-nesting bees of south central Washington state. They published findings in the Jan. 18, 2017, issue of Proceedings of the Royal Society B [DOI: 10.1098/rspb.2016.2406]. 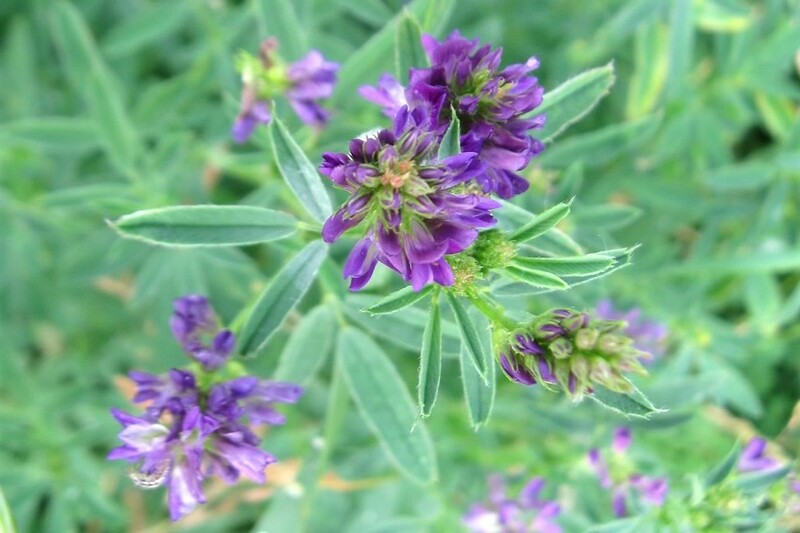 The researchers’ work was funded by the Utah Agricultural Experiment Station, the USDA-ARS Alfalfa Pollinator Research Initiative and USU. She and Johnson, an undergraduate researcher and recent USU graduate, studied alkali bees (Nomia melanderi) of Washington’s Touchet Valley, an area of robust alfalfa production. As critical alfalfa pollinators, alkali bees are carefully protected in natural and artificially prepared alkaline “bee beds” kept on private farms. So prized are the bees that the State of Washington posts speed limit signs of 20 miles per hour near bee beds to protect the precious pollinators. “You feel bad when you’re driving through these areas and you hear what might be a ‘bee hit,'” says Johnson, a 2016 recipient of a USU College of Science Undergraduate Research Mini-Grant. 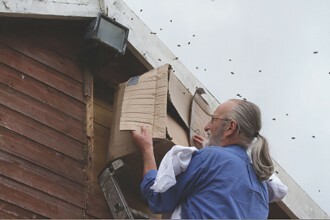 The researchers captured bees using traps over nesting holes in the beds for lab study. In the lab, they harnessed individual bees and offered varied sucrose treatments to test each insect’s proboscis extension response. They noted the size of a female bee’s Dufour’s gland, located in the abdomen and playing a number of roles in bee reproduction, was a significant predictor of sucrose response. Their results suggest, as predicted by the hypothesis, female solitary bees adjust their dietary preferences, when they become reproductively active. She and Kapheim think there could be a link between Dufour’s gland development, sucrose response and development of division of labor in other species of social bees. Kapheim says the research findings suggest independent origins of social behavior evolve via convergent processes, but through lineage-specific pathways. “Additional research is needed to understand the mechanisms by which division of labor, Dufour’s gland development and sucrose response in social bees is related to alkali bees,” she says. Farming doesn’t always have to be harmful to bees. 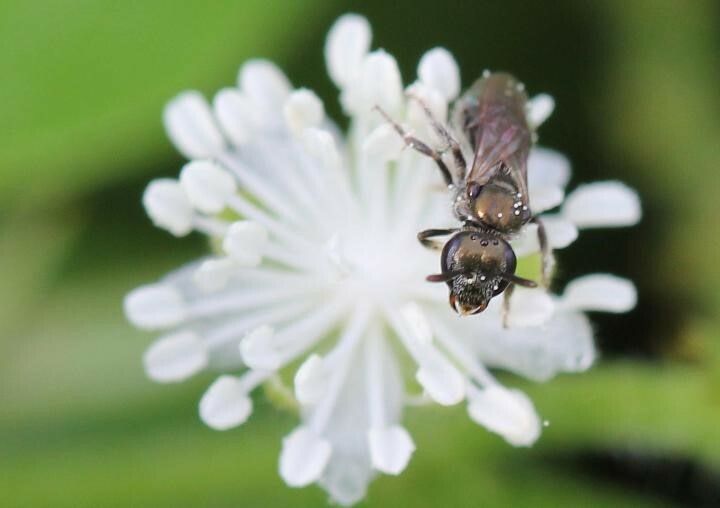 On the contrary, even though farmers on the Mexican peninsula of Yucatán traditionally slash-and-burn forest to create small fields, this practice can be beneficial to sweat bees by creating attractive habitats. The farmers profit as well since they depend on these insects to pollinate their habanero chillies. This discovery by an international team of authors, headed by Martin Luther University Halle-Wittenberg (MLU), was recently published in the international “Journal of Applied Ecology”. Traditional farming practices on the Yucatán Peninsula originated with the region’s native inhabitants, the Maya. Small parcels of forest are cut and burned, then the land planted with various crops. Afterwards the land lays fallow for a few years. This results in mosaic landscapes. The cleared land lies adjacent to forests, other fields that are currently being farmed and stretches of pasture land. “This diverse range of habitat provides excellent conditions for native sweat bees,” explains Professor Robert Paxton from the Institute of Biology at MLU, where Paxton and PhD student Patricia Landaverde-González have studied 37 sites on Yucatán. The researchers set out to discover how this type of traditional farming impacts biodiversity and bee populations. “One would assume that such a destructive type of farming would have negative consequences for the diversity of pollinator species – particularly bees,” explains Landaverde-González. Fewer bees mean that fewer plants can be pollinated, and around 70 per cent of all plants grown on the Yucatán Peninsula depend on pollination. The team of researchers collected and identified wild bees at all 37 field sites, experimentally measured the bees’ pollination services and carried out complex statistical analyses based on the collected data. The result: “The pollination of chilli plants is considerably better on the plots of land that are farmed in the traditional way, even when slash-and-burn practices are used,” says biologist Robert Paxton. There appears to be no direct, negative impact of moderate farming on populations of native sweat bees, the major pollinators of chili. Paxton adds that other bee species are not able to adjust as well to these agricultural practices and their populations are therefore much lower. “Adjacent woodland seems to play a major role in supporting a diversity of bee species. We also found lower bee populations on cropland with little residual forest,” Paxton explains. The peninsula is also known for its other prominent crops, including avocados, beans, passion fruit and star fruit. The researchers emphasize that these crops are pollinated by other bee species, which in turn, may depend on a more natural environment. In general, this study also shows how important it is to balance moderate farming practices with the protection of forests. This is the only way to maintain ecosystem health and the life-giving services it provides us. An unexpected sugary snack can give bees a little buzz and appears to lift their mood, even making them optimistic, according to research Thursday that suggests pollinators have feelings, too. 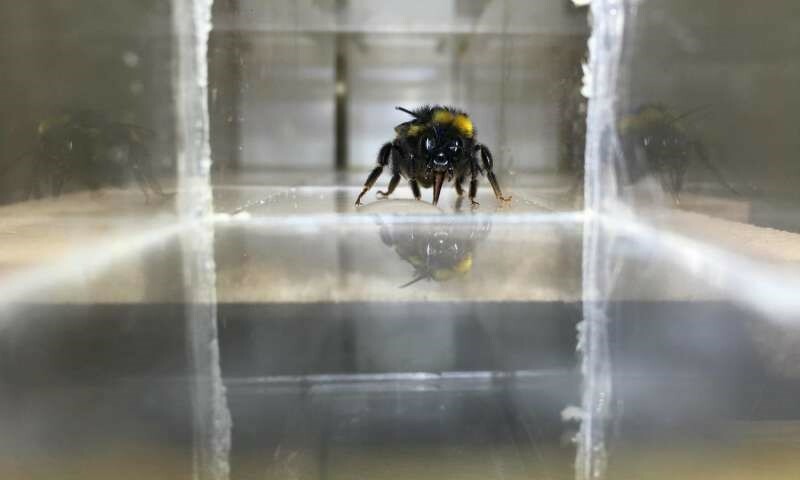 Since emotions are subjective and difficult to measure—particularly in animals—researchers looked at how bees‘ behavior changed after they were given a sip of sucrose solution. “Bees given a 60 percent sucrose reward to induce a positive affective state flew faster to the cylinder than non-rewarded bees,” said the study in the journal Science, led by Clint Perry at the University of London. Next articleCATCH THE BUZZ – What’s Next for PLOS? A conversation with outgoing Chief Executive Officer Elizabeth Marincola. And, Who Says It’s FDA Approved? Plus, FDA Approved – Who Says?